Well ive never heard of “The Turtle” before. But isnt this just great. Its almost like the complete opposite of Flash and in a real weird way. You could liken him to Hero Nakimoro in Heroes, who can control time and space. Hero slows down time everywhere and thus he is able to move in and out of time and space in a flash. The turtle does the same thing but he only slows people down not time. Also he is limited to his surroundings and what he can reach with his kinetic waves which slow everything right down, so that he can pass by at normal speed, but to the people affected he will pass by so fast that they dont see him. Whoah now that takes a bit of understanding. What would have made him a nemesis for The Flash is if could expand his kinetic waves to a greater level thus able to halt the Flash anywhere. 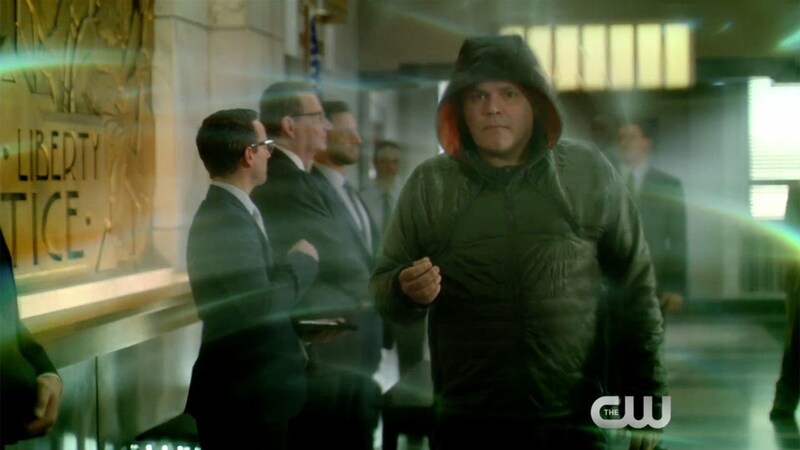 The reason the Flash team decide to capture Turtle is that they feel they can use his powers to stop Zoom, the current main villain who is trying to kill the Flash. In the previous episode we learn that Wells has to speed Barry up so that Zoom can take as much of the speedforce possible when he slays the Flash! But the idea from Cisco to slow Zoom down may actually help stop Wells from doing wrong to save his daughter. It may be the key to a happy ending right? The set a trap to capture the Turtle but fail, in doing so Patty is almost killed. In saving her Turtle learns of how much Flash cares for Patty. She is the kidnapped and used to lure Flash into a trap. The Flash doesnt quite expect how much Turtle can even slow him down, so his power is quite strong and would be able to slow down Zoom enough for others to kill him. Surely Patty must get a hint of who The Flash is? Body language and that he takes special interest in saving her? 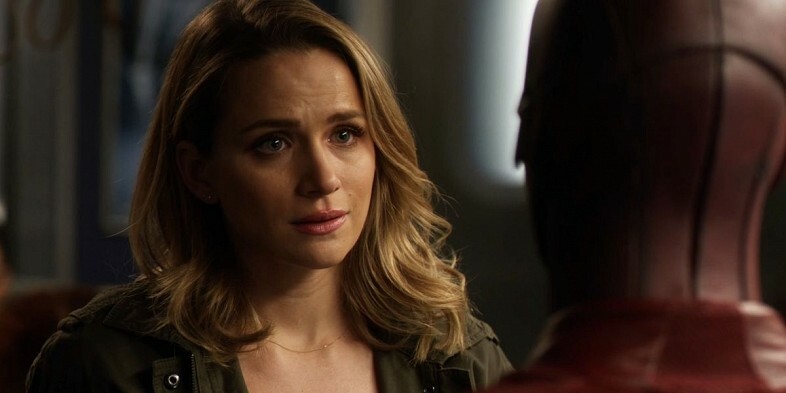 I thought Patty was here to stay as Barry’s love interest but with her telling Barry she will be leaving Central City i wonder if Iris will lend Barry a shoulder to cry on and then get back together with him? Wells is not getting desperate as he needs to save his daughter. We see him killing the Turtle while extracting something from his nose. It would have been better if they somehow converted him to their cause and used him to stop the Zoom. Combining Fast speed and slow speed to beat Zoom. But it looks like Wells will use DNA or cells from Turtle to develop a slowing down serum or weapon. Even better, if they somehow managed to combine Barry’s speedforce and Turtles kinetic waves to make the Ultimate Flash who could beat any speedster. As he could simultaneousnesly speed up really fast while slowing everything else down! The unexpected twist we see at the end of this episode is a real cliff hanger, as we see Eubard Thorne (Reverse Flash) appear again. We know the other Reverse Flash from the future was killed so where is this one from. Another Earth or did the same one manage to survive somehow. It bad news for the Flash then as he now has two speedster foes to combat. The interesting thing to see is whether Zoom and Reverse Flash team up, or if the Zooms ambition to become the only speedster result in Reverse Flash and The Flash teaming up to stop him? Or will it be every speedster for himself? Time will tell.